Your filter needs to be replaced regularly. Check your filter when your system is in the off position, by pulling the filter straight out from its housing to inspect it. If your filter looks dirty, it will restrict airflow to your cleaner, AC or furnace. We offer three to five-inch Lennox air filters designed for various systems. If you're not sure which box filter for Lennox you need, contact us! Always ensure you point the airflow arrow toward the furnace chamber. For the sake of convenience, it's a good idea to write the date when you changed your filter on the filter itself before inserting it into the furnace. Check your filter in three months and observe its condition. 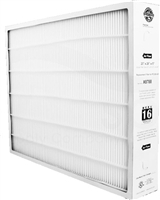 Lennox box-style filters are designed to be replaced every six-12 months, but depending on the air quality around you, this might be more often. Here at Filter Shipping, we carry a full line up of Lennox filters for your furnace, air conditioner, and air cleaner. 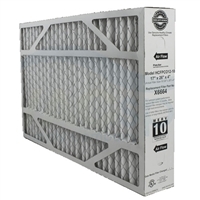 Lennox also makes filters for other major brands, such as Honeywell, Air Bear, Aprilaire and more.